Spas of Life | Healthy Living + Travel: Are Boot Camps the Next New Spa Vacation? Think boot camp and what comes up? An image from the military or makeover reality show with trainers barking orders at their clients come to mind. Whatever the image, boot camps are becoming the new/old way to get in shape. 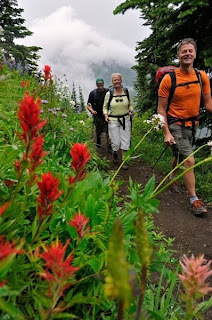 Boot camp like programs are appearing at the local gym offered for the after work group with limited time or they can be as comprehensive as the boot camp program offered at Mountain Trek, a health and fitness retreat located in the wilderness of beautiful British Columbia. For one or two weeks, guests transform their bodies through a high intensity fitness program focused around daily high intensity hiking fueled by gourmet cuisine. The boot camp part is delivered by structure of the program: 6:30 am yoga, hiking for 4 hours, and nightly fitness classes. “Our guests range from high pressured executives to mothers, basically those with a lot of responsibility on their shoulders,” explains Kirkland Shave, Mountain Trek’s GM. “What they appreciate is the opportunity to have someone else be in charge guiding and motivating them. They can completely give themselves to the program and focus on themselves,” continues Shave. The benefits of the boot camp are multiple, weight loss being one of them. The average in 2008 weight loss for women was 5.7 lbs per week and 9.0 lbs for men. Continues Shave,” “Weight loss in the main reason why our guests come here. However, they leave with dramatic increases in their fitness levels such as endurance and strength as well experiencing a reduction in their stress levels. But most importantly they leave with an increase in self-esteem and vitality. “You won’t find our guides barking orders while on the trail, “says Shave, “but encouraging and motivating guests when the going gets tough. They think that they can’t do make it to the top of a mountain and when they do, well, there’s no words to express the sense of accomplishment,” finishes Shave. 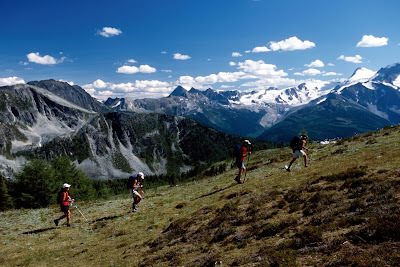 Mountain Trek offers its boot camps in Canada, United States and Costa Rica.